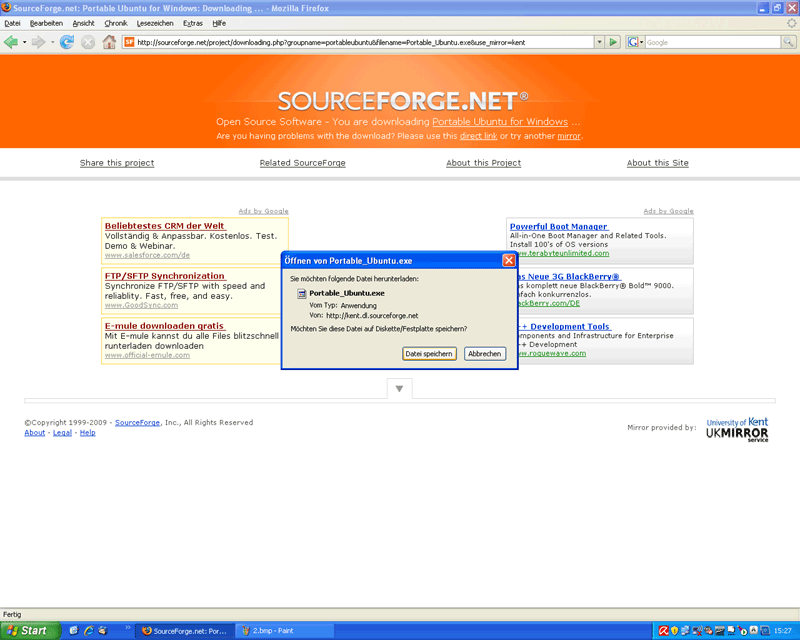 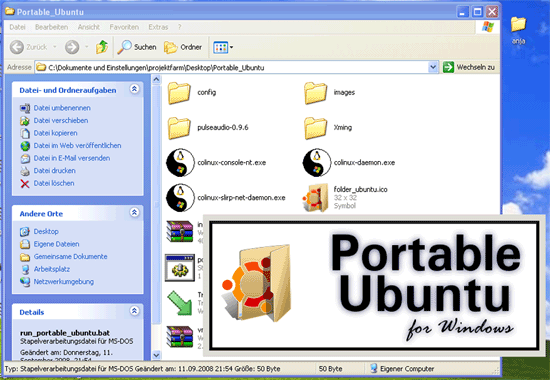 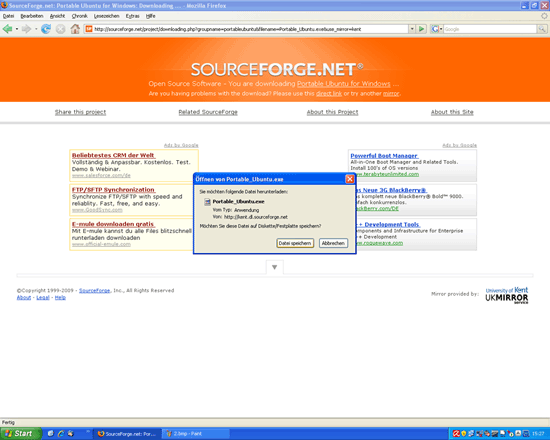 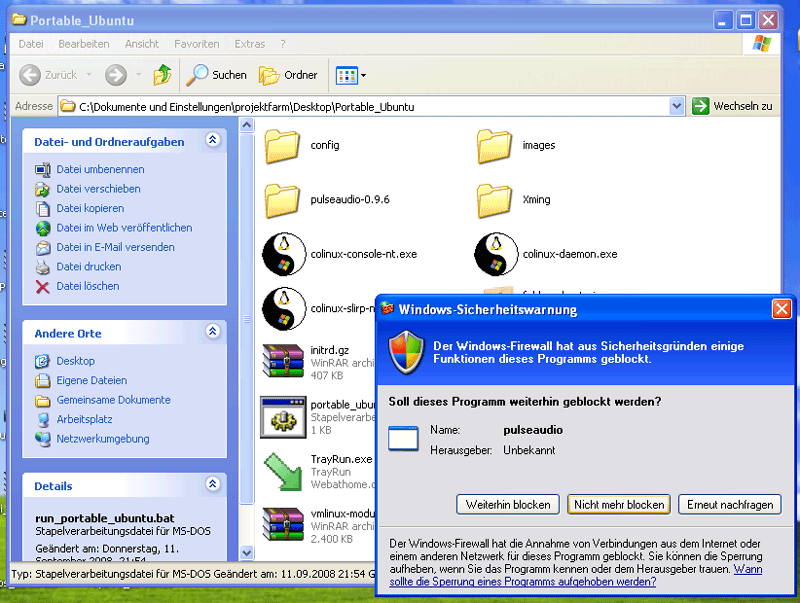 Portable Ubuntu for Windows is an Ubuntu system running as a Windows application. 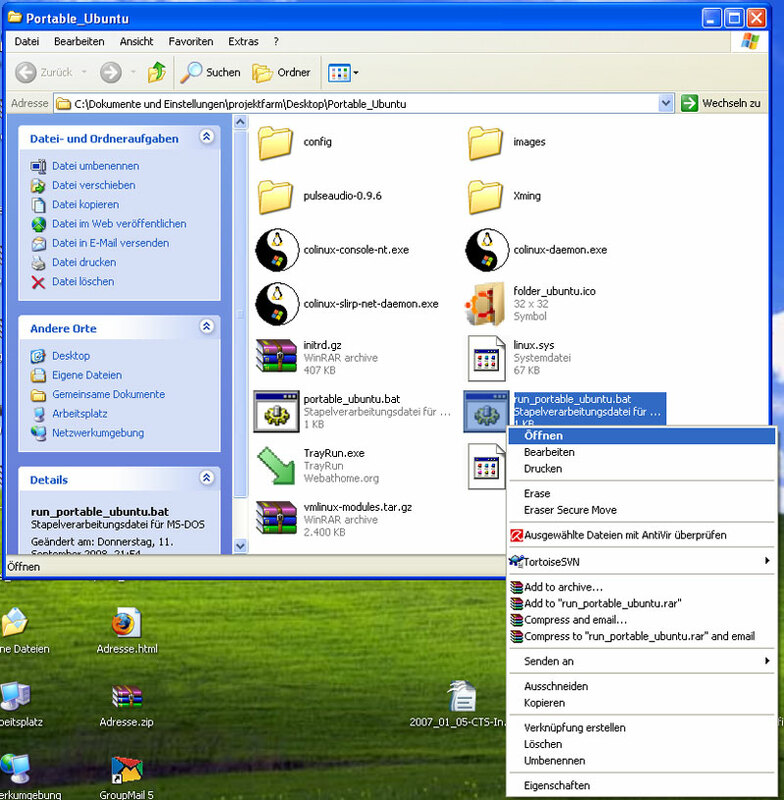 All Ubuntu applications appear as a window on the Windows desktop, and you can even copy&paste between Ubuntu and Windows applications (in both directions). 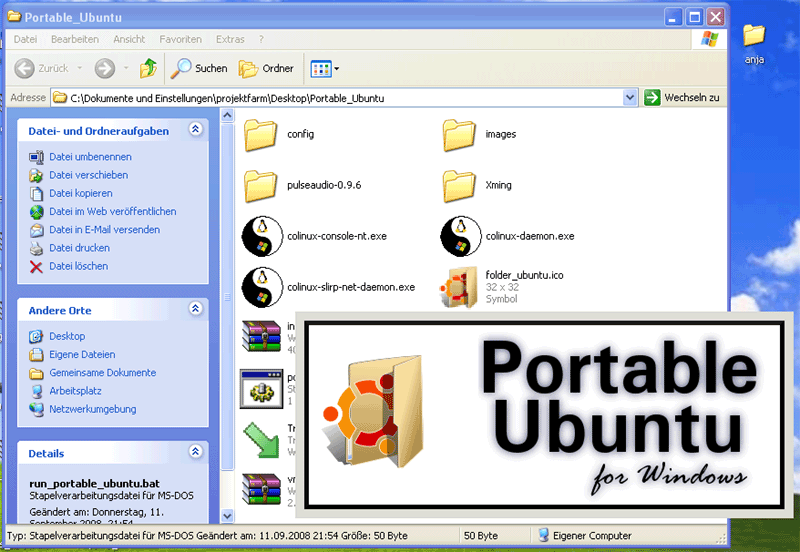 You can also copy Portable Ubuntu to your thumb drive and carry it with you (you don't need to "install" Portable Ubuntu on Windows - all you need is the Portable Ubuntu folder). This guide shows how to use Portable Ubuntu on a Windows XP desktop. 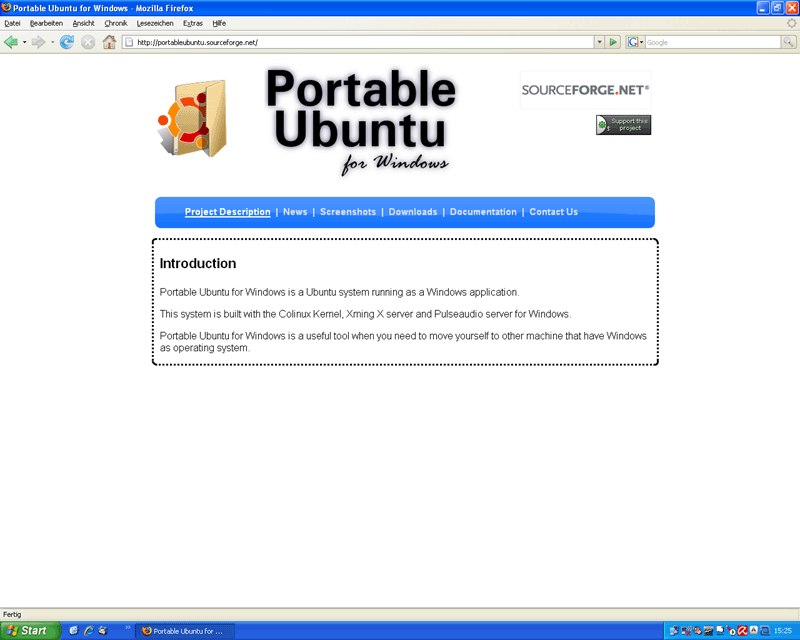 You can access the Windows C: drive from Portable Ubuntu as /mnt/C.